When C.C. Sabathia climbs the mound at Yankee Stadium on Saturday, it will mark the first start of his 19th and final season in the major leagues. This year will be the capstone of a long road from his hometown, Vallejo, Calif. — and one that took an unexpected detour just months ago. 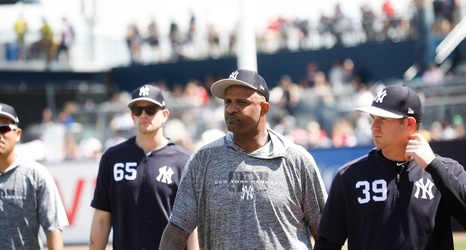 During an off-season in which he was recovering from a planned operation on his right knee, Sabathia, 38, was suddenly faced with a more serious health scare: a nearly entirely blocked artery near his heart that required surgery to insert a stent.